If you're still looking for a reason to vote for Donald Trump, here's one: free helicopter rides. Yes, the Republican front-runner has found another way to beat out his competition, and it's actually absurdly impressive — or impressively absurd? We'll let you decide. Trump is offering free helicopter rides in Iowa this weekend, and if you're lucky, you may even be able to snag a ride with the Donald himself. He [Trump] is welcome to land his helicopter anywhere outside the grounds and take people on rides or whatever he would like to do. But that will not be happening on Iowa State Fair grounds. But don't worry, Trump would never miss a PR opportunity. 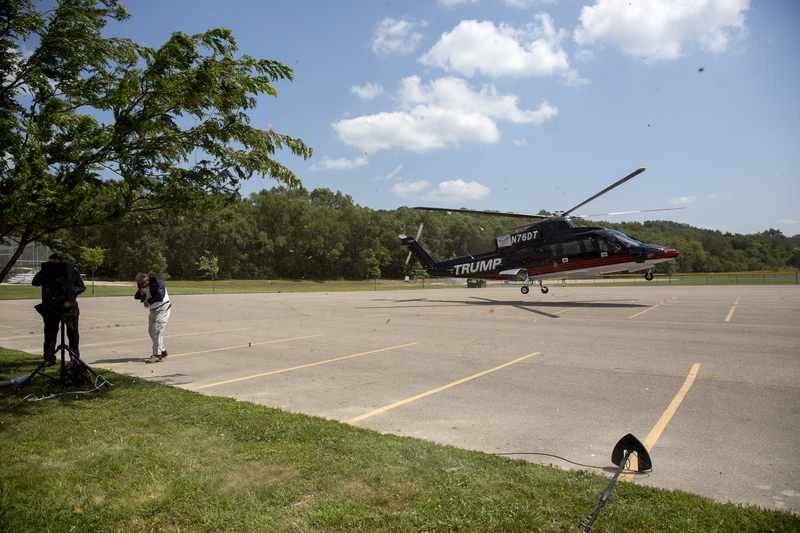 If you're at the Iowa State Fair this weekend, you can still catch a ride on Trump's helicopter just outside the fairgrounds in a nearby parking lot. The GOP front-runner kicked off the much-anticipated rides today with a press conference, in which he touted his wealth (because standing in front of a private helicopter with his named painted on the side wasn't enough, obviously) and defended some of his controversial stances. "I don't think I've made mistakes," Trump said. According to CNN, Trump's Sikorsky helicopter cost the business mogul $7 million. Trump reportedly owns three private helicopters, as well as private Boeing 757 jetliner that cost $100 million. Is this what makes Trump an expert on income inequality in the United States?